Celebrate the Holidays with Colonel Pride. 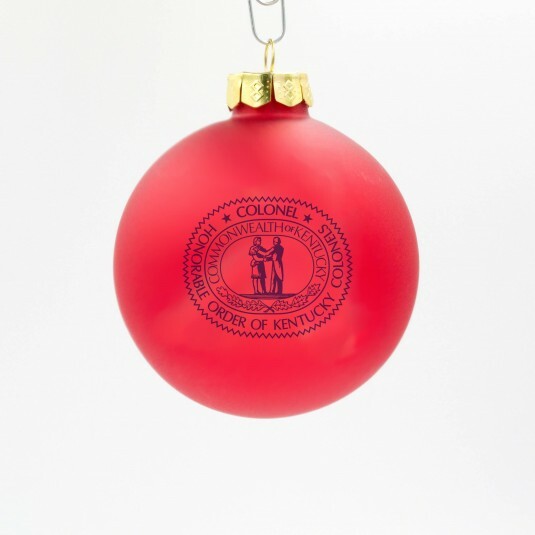 Kentucky Colonels Great Seal is featured on a matte red glass ornament. This color combination goes great with any of your existing holiday decor. Comes with a shatter proof white box.